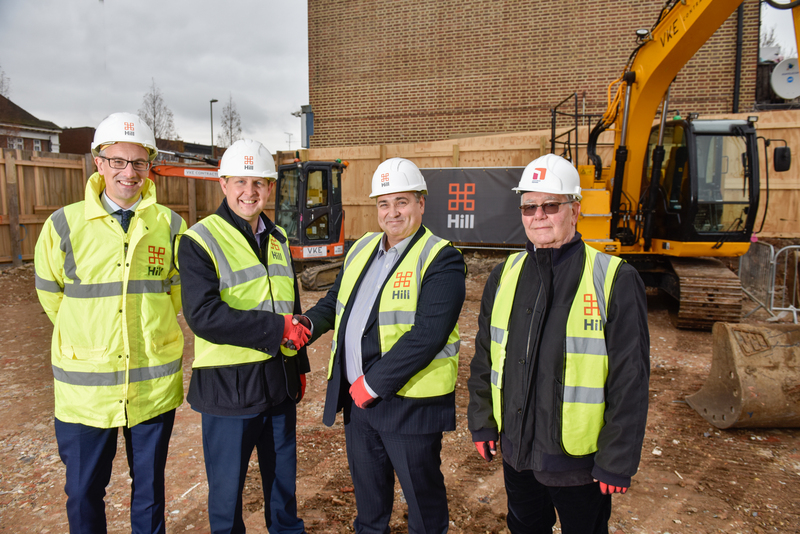 Opendoor Homes marked a new partnership with contractor Hill by joining together at a ‘ground breaking’ ceremony to celebrate affordable new homes being built in Burnt Oak. Ceremonies like which are done to mark the first day of construction at a site with best wishes from everyone involved in the project. It’s a double celebration as this is the first time Opendoor Homes have worked with Hill. Image: Chief Executive of The Barnet Group, Tim Mulvenna, joined with Hill’s Regional Director, Paul Jordan, to break the newly levelled ground for the development.